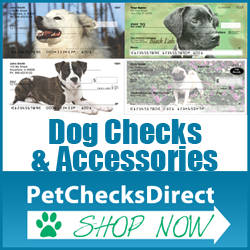 YARMOUTH PORT, Mass., Oct. 4, 2013 /PRNewswire-USNewswire/ — Cats and dogs are two of the world’s most universal species, living side by side with people in hundreds of millions of homes and communities in every human society on this planet. 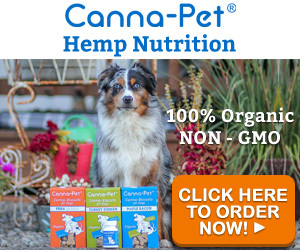 Yet, on every continent and in every culture, dogs and cats continue to be subject to cruel and inhumane treatment. And a growing body of research has shown that violence against animals is connected to violence against people. To help address the root causes of animal cruelty, the International Fund for Animal Welfare (IFAW – www.ifaw.org) is launching a new global educational program, Cats, Dogs and Us, which introduces students ages 5-14 around the world to the many different ways that people live with cats and dogs and helps develop knowledge, skills, and empathy and respect. “IFAW’s education programs don’t just benefit animals. They are good for people and communities too,” said IFAW President and CEO Azzedine Downes. Numerous studies have shown that integrating humane education into the classroom can lead to reductions in school violence and bullying, while supporting moral development and instilling a sense of responsibility for both animals and people. Humane and environmental education have also been found to improve critical thinking skills, motivate students to become more engaged, and promote academic achievement, including better performance on standardized tests. IFAW’s educational program have recently been endorsed by the European Commission, the Ministry of Education for the United Arab Emirates, and the UN Educational, Social and Cultural Organization (UNESCO), among others. 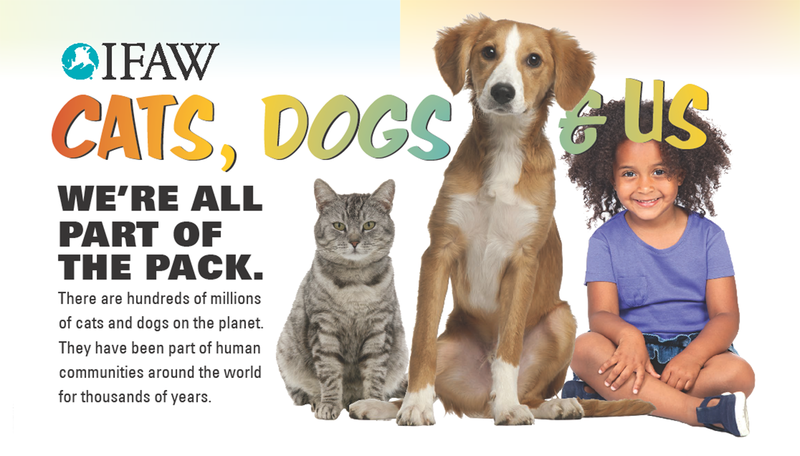 In the United States, IFAW is launching the new Cats, Dogs and Us program with Time for Kids and other high-profile partners, including the Los Angeles Unified School District, which is the second largest district in the country. IFAW’s Animal Action Education program (www.ifaw.org/education) provides free teaching resources in more than a dozen languages and dialects that are expected to reach more than 5,000,000 educators, students ages 5-14 worldwide. 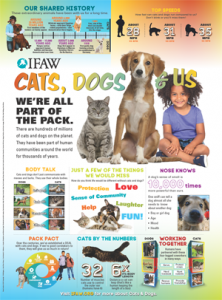 Cats, Dogs and Us is the newest addition to IFAW’s library of educational resources on a wide range of animal welfare and conservation themes. All the resources are aligned with local, regional and national curricula in literacy, language arts, science, social studies, citizenship and other core subject areas taught in schools worldwide.